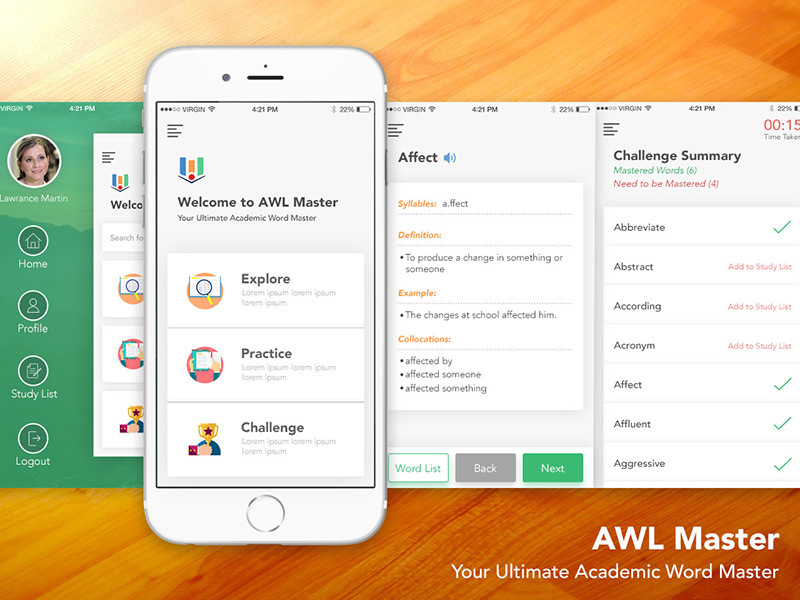 AWL is an advanced vocabulary enhancing tool where you can find syllable divisions, detailed meaning and usage, and collocations with examples and pronunciations for every single word in English. We’ve developed the native application in iOS and Android. The fun and interactive features of this app have been created using Node.js for the backend and Angular JS for the frontend. There’s a study list which users can refer to in order to strengthen their grasp on each word learnt. We’ve created it using Swift and Java. The app also has an interactive quiz which is created using server-side API integration.